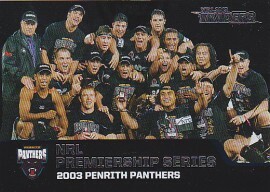 This sub-set celebrates those 13 clubs that during the last 15 years have won the ultimate Rugby League prize, the NRL Premiership. Missing off course are the Premiership wins stripped from the Melbourne Storm. 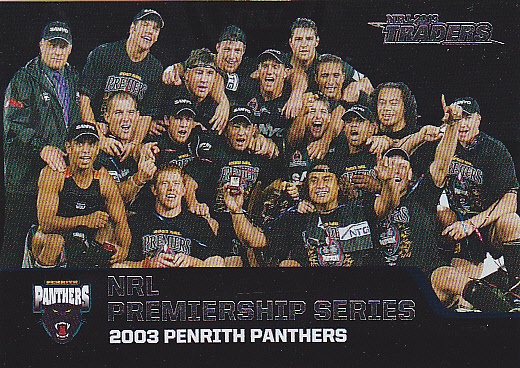 These cards were inserted at a ratio of 1 card per 36 packs, this card features the Penrith Panthers in 2003.